TOKYO -- Mazda Motor's quarterly operating profit more than doubled as a weaker yen and lower costs including those for r&d, offset weaker sales in North America, its biggest market. Mazda posted an operating profit of 30.6 billion yen ($280.3 million) in October-December, jumping from 13.64 billion yen a year ago. The automaker said it sold 404,000 vehicles globally in the October-December period, up 4 percent from a year earlier, led by higher sales in Japan, ASEAN countries and in South America. Sales in the U.S., which accounts for about 20 percent of global sales, fell 12 percent to 70,000. Like many of its Japanese rivals, Mazda has been struggling to sell sedan models in the U.S. as drivers continue to favor larger SUVs and trucks over sedans and hatchbacks, just as overall sales continue to retreat from 2016 record highs. Mazda has been increasing production of its SUVs, raising the weighting of their U.S. sales to 58.6 percent of total sales in 2017, but it continues to lag industry sales which skew 63 percent in favor of SUVs and trucks. U.S. vehicle sales in general are expected to ease further in 2018 from a record of about 17.6 million units hit in 2016, ramping up competition to sell vehicles. As a result, discounts have ticked higher at automakers including Mazda, which has seen its average marketing cost per unit jump 31 percent year-on-year in 2017, according to figures from Autodata, faster than its Japanese and U.S. rivals. 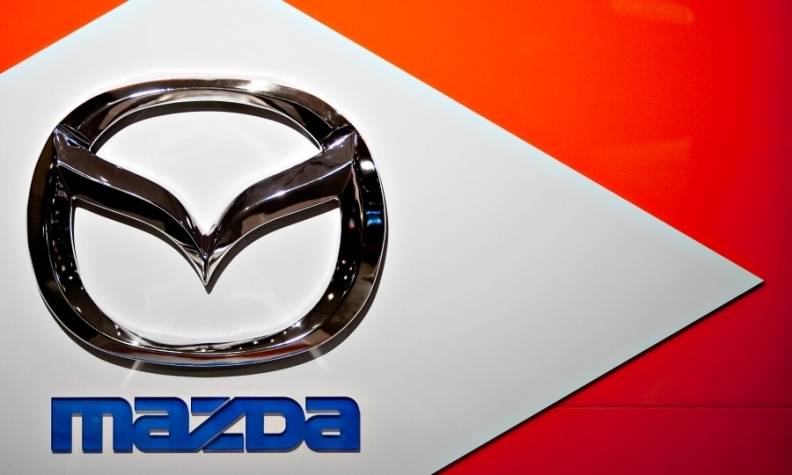 Mazda kept its forecast unchanged for full-year operating profit to rise 19 percent to 150.0 billion yen. This is based on an assumption that the U.S. dollar will trade around 111 yen through March, compared with its previous forecast of 110 yen. It kept intact its full-year global vehicle sales forecast at 1.6 million vehicles, but lowered its full-year U.S. sales forecast to 302,000 vehicles from its previous estimate of 312,000, as it now expects sales to be flat from last year. It is also expecting lower sales in Japan, but raised its sales forecast for China to 308,000 units, up 16 percent from last year.